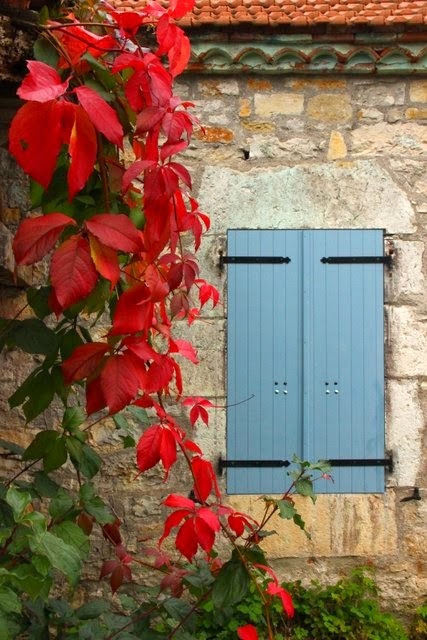 After a long spell of Indian summer, we're beginning to ease into fall here in southwest France. Some of the trees have already dropped their brown leaves, but others are just beginning to turn their autumn colors. The days are gradually getting cooler and that morning river fog is lingering a bit longer each day. This weekend France falls back into standard time which means the days will feel shorter and darker. 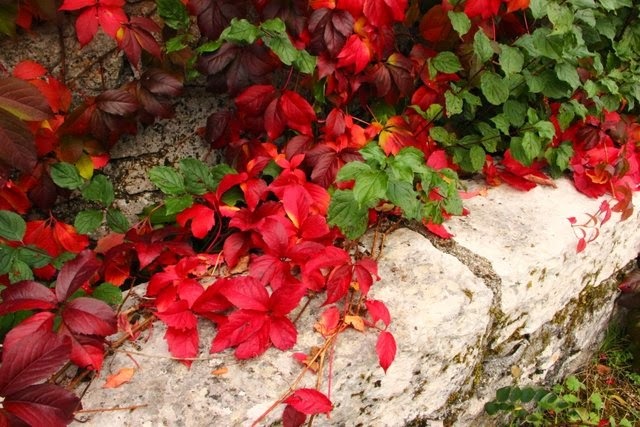 After a burst of color, everything will snuggle into winter-mode for a long rest. But I intend to enjoy the color while I can!